Acquiring a Rolex isn’t always easy. It takes money. And it takes considerable decision making—a Submariner or Milligauss? A Daytona or Deepsea? A new Oyster Perpetual or vintage Air King? But to a watch thief there is no hesitation based on price. There is no comparison shopping. No hemming and hawing over what style and color goes best with his tie. their own. Photo from Bob's Watches. A Rolex thief—or any thief turned into a Rolex thief by convenience or circumstances—sees a Rolex and takes a Rolex. And why not? A $10,000 Rolex fits more easily in a pocket than $10,000 worth of cash or a laptop. 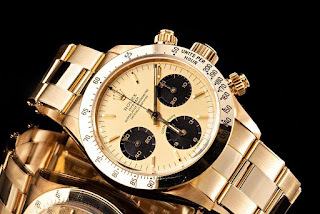 A Rolex is a great deal for a thief because not only is it highly portable, it’s also easily converted back into cash. How often are Rolexes stolen? Not surprisingly, there are no statistics for this particular kind of crime, but it happens a lot, both to individuals and in stores. In 2013, thieves broke into an Arlington, Virginia, Tourneau store and stole just the Rolexes, even though there were more valuable watches there: “Police say four masked men entered a suburban Washington, D.C., jewelry store, shattered a glass display case with a hammer and made off with 23 Rolex watches worth more than $600,000…. [The] heist took about 30 seconds,” reported the Huffington Post. Rolex thieves are often armed in America, too, as was the case last August when two men with assault rifles robbed a Los Angeles, California, Rolex store. If you take off your Rolex at an airport security checkpoint, your Rolex might never see your wrist again. That's what happened to a passenger at Denver International Airport last month. The passenger's watch was stolen by the woman behind him, who then hid the stolen Rolex in her luggage before her bag was X-rayed. Rolexes are converted from on-the-wrist objects to off-the-wrist objects by thieves, too, often at gunpoint. Jewel thieves have been known to look for Rolex wearers while they’re dining at fancy restaurants. Celebrities, too, aren’t immune from being mugged for their Rolexes. James Gandolfini, a star of the HBO series, “The Sopranos” had his Rolex Submariner stolen soon after he died in his Rome hotel room. It was taken off of his dead body. Ewww. Is no place sacred when it comes to stealing Rolexes? I’m not talking about churches and shrines. I’m talking about the paramedic who stole a patient’s Rolex in Mesa, Arizona, last year, while the patient was riding in an ambulance. So what am I suggesting? Am I saying that you should never wear your Rolex outdoors and you should always keep your Rolex locked in a safe when indoors? Should you live in fear of your Rolex being stolen? Should you never walk along dimly lit back alleys of Rio wearing your gold and diamond Rolex? “No” to the first questions, but a definite “yes” to the question about Brazil. As he sat in the lounge of a West Los Angeles Cadillac dealership, working [on] a crossword puzzle and waiting for his car to be fixed, Carroll Adams didn't notice the smartly dressed gunman headed his way. But he heard with awful clarity the demand for his diamond-studded gold watch. "No one gets my Rolex," the retired school official replied. "I'm sorry." Seconds later, Adams was locked in a fierce struggle with the assailant. 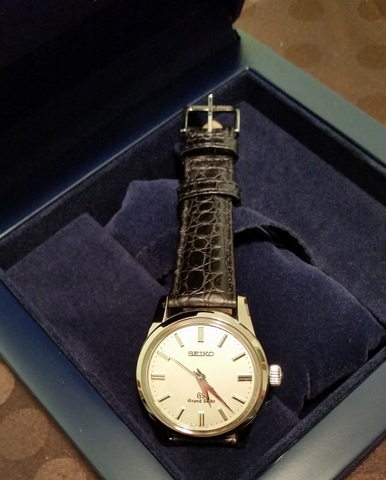 He wound up bleeding on the floor with three gunshot wounds—and without his $18,600 watch. "I know I'm lucky," said the 59-year-old Adams, who seven months later is still recovering from his wounds. "But if I had to do it again, I think I would act the same."